One of the many things humans and animals have in common is that parents will do anything for their babies. 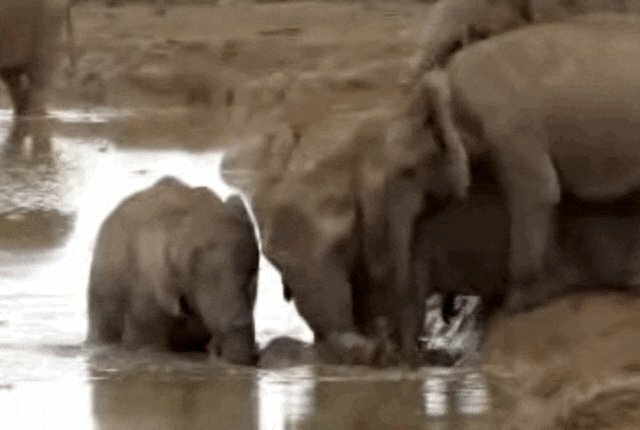 When this elephant baby started to drown, his mom immediately rushed to help - and so did every other elephant mom around. 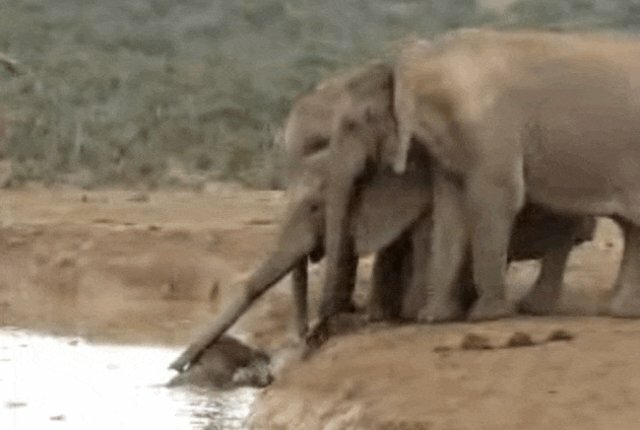 A baby elephant accidentally fell into the pool of water he and his family were drinking from. His mom tried to help get him out, but the ground was too slippery. 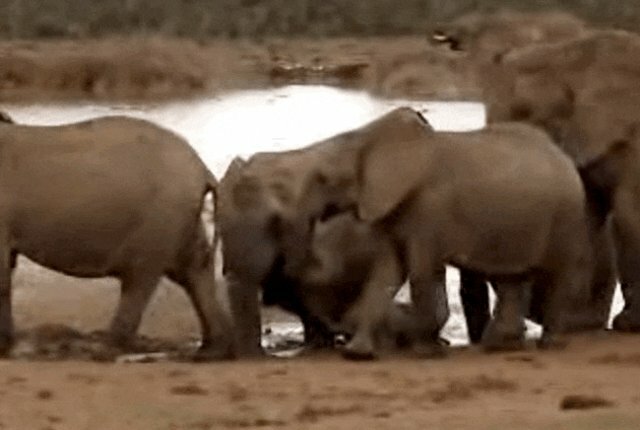 As he continued to struggle in the water, more female elephants stepped forward to try and help out. Realizing they couldn't pull him out, the elephants hopped into the water in order to try and guide him safely ashore. 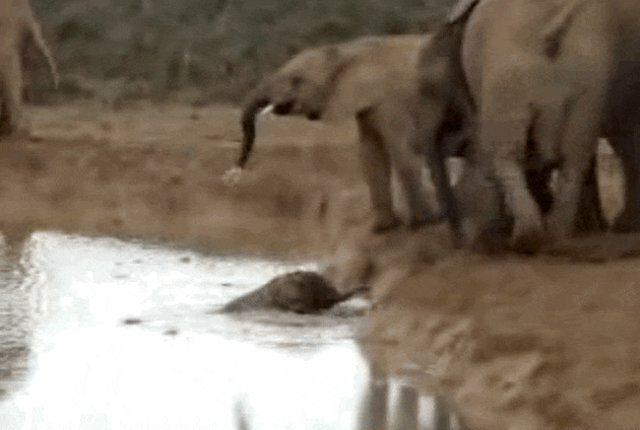 He was totally fine, but probably a little embarrassed that it took so many elephants to save him when he swore to his mom that he knew how to swim. 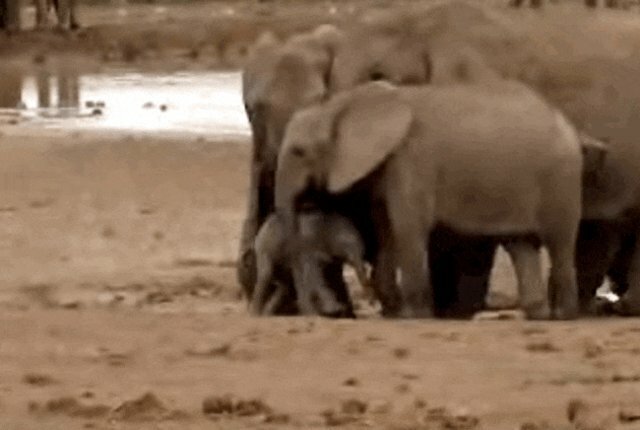 By working together, these moms saved the little guy from drowning, proving once again the amazing capacity that animals have to love.